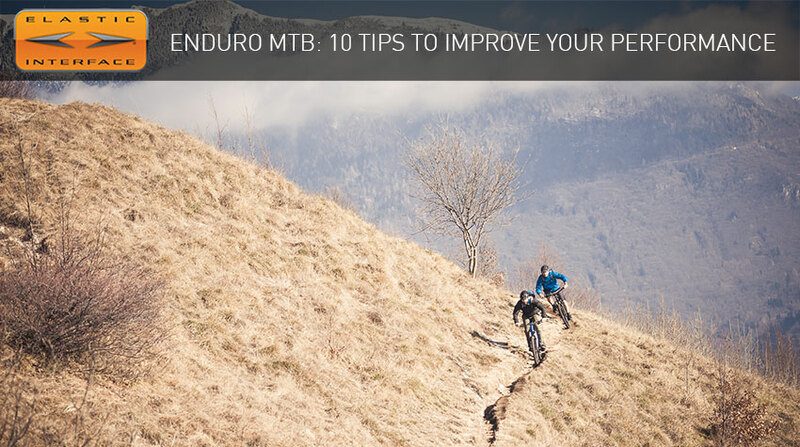 In this feature we have compiled a list of 10 tips on how to improve the performance in the saddle of your MTB, from the riding skills to all those qualities that are essential to become a good enduro rider. Enduro mountain biking now boasts big numbers in terms of enthusiasts; at all levels, often even engaging in the competitive side of it. Races consist of a sequence of timed stages, called SS (Special Stages); the win is claimed by those with the lowest final accumulative time. Transfer stages, mostly uphill, have to be pedalled to get to the start of each timed stage. In most cases time limits are set for the transfers; beyond those, riders incur penalties. Races can last from 3-4 hours up to two days, on extremely diverse terrain, over total distances roughly between 20 and 60 km (12 and 37 miles), with elevation gains of 800 to 2500 m (2600 to 8200 feet), and beyond. The number of special stages usually varies between 3 and 6, each one lasting 3 to 15 minutes, for a total racing time that ranges from 15 to 45/60 minutes (depending on the level of the competition). 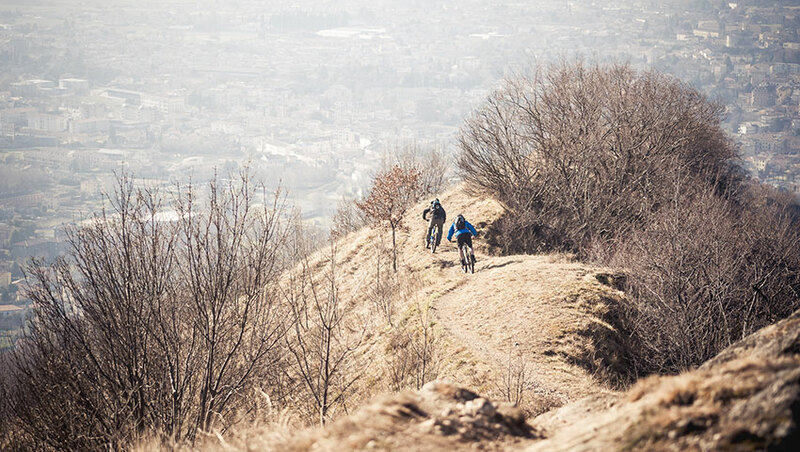 A SS often involves sprints, punchy climbs and proper climbs, to ride – of course – flat out. In addition to the explosive strength needed to sprint at the start lines, what becomes crucial is the ability to sustain maximal efforts for long periods, together with resistance and endurance, that you will need to ride back up, to the start of the next SS. 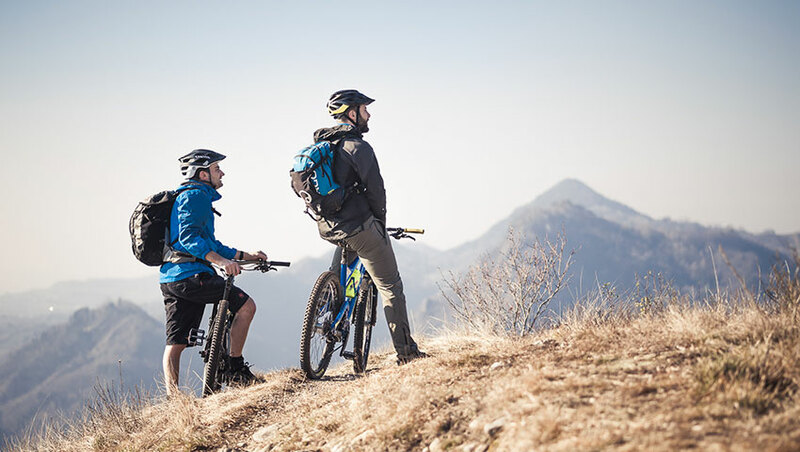 Find here our list of key aspects that will allow you to spend an entire weekend in the saddle, with your riding buddies and, if you like competing, perhaps taking part in some events of an enduro series. In order to be able to tackle an enduro race what we need is a solid base of endurance – plenty of kilometres in the legs done at low to medium intensity during the first block of a hypothetical pre-racing-season training. This means two rides per week, at least 2.5/3 hour long each, with minimal climbing and moderate pace. 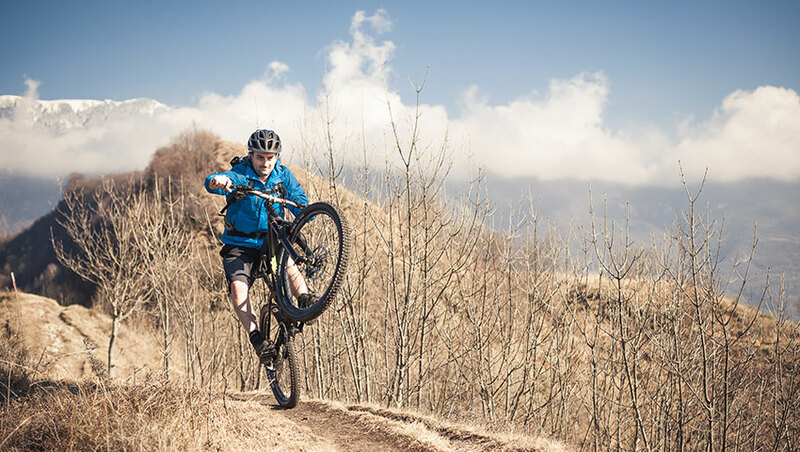 A good training routine in the gym based on ‘functional training’ and aimed at improving strength endurance can be key for mountain bike riding. Sessions 45-minute long with alternating routines of isometric exercises, aerobic floor exercises, use of training machines and proprioception tasks can work miracles. Developing strength and power output with weight training is useful as well: stick to multi-articular exercises such as deadlifts, squats, bench press, pull-ups, military press and lunges, with reasonable weight, few reps and complete recovery in between. Have a coach following you. Don’t neglect stretching, together with mobility and range of motion of your joints. If you are a rookie, the choice of the race is crucial. Depending on the individual skills, it is preferable to opt for a type of race that best fits the rider’s skills: those with a downhill background will prefer a race with short SS, technical descents and not too much climbing; conversely, riders with XC experience will better choose a race that is less technical and has more pedalling. The racing format of enduro events offers a good opportunity to meet a lot of new people during uphill pedalled transfers, but nothing is more fun than sharing the weekend or the race day with your riding buddies. Even better if, when you enter the event, you manage to get starting numbers close to one another and you know in advance who will start before and after you. After the race, stories and beers with your friends will have a special flavour. If you don’t want to find yourselves unprepared, during your training rides you should hunt for trails that replicate the conditions you will find on the race course. You will need to learn how to ride fast, precise and clean, then stop, rest a bit and go back to the top for at least 5 or 6 times. Moreover, since the races take place whatever the weather, have a go also at riding in the pouring rain, on mud and snow: you will arrive at the start gate ready for anything. The format of enduro racing is now fairly standardized but every country has its own rules and it is possible to find differences between races: full face helmet mandatory on descents, helmet with removable chin-guard not allowed, start line at specific times or with no fixed start time, use of chips, time controls. Better to know everything in advance and face the race with no thoughts other than enjoying yourselves. It will help to carry with you on an enduro race only the bare essentials e.g, less gear compared to what you would carry during a regular day out with your mountain bike. However, a few items remain fundamental: phone, watch, glasses/goggle, an inner tube strapped to the frame, tyre levers, CO2 cartridge, puncture/repair kit, waterproof shell, bars and water. As an option: spare gear cable, spare mech hanger, chain lube mini-bottle. 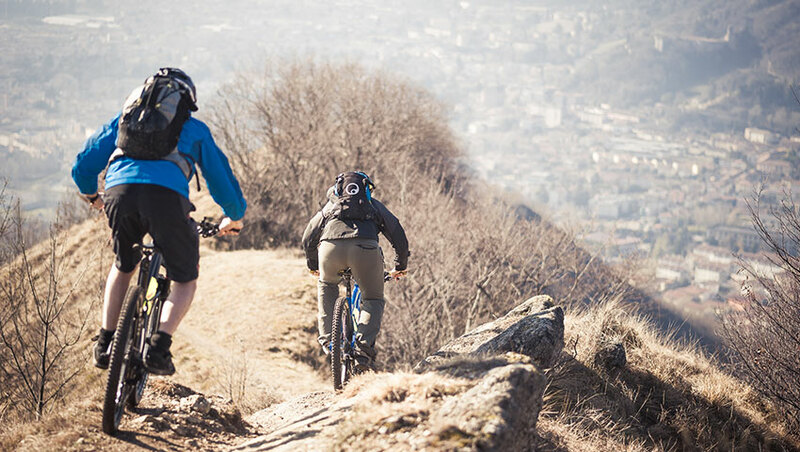 Put everything in a rucksack equipped with back protection, if you have one, otherwise the new waist bags for mtb are very comfortable and leave more freedom of movement. Before the race, make sure that the mtb is in perfect working order: check the brake pads; verify the proper functioning of the mech and the tightening of all bolts, in addition to condition and lubrication of suspension and dropper post, the later being an essential piece of gear for an enduro race. If the competition is long and takes place in very dry or very wet conditions, make another quick check during time control, and lubricate the chain. Be also mindful of the correct posture in the saddle of your mountain bike, if you are really serious about it. One of the most important aspects to consider is the fuel the body runs on. Replenishment must be constant, every 30/40 minutes, using fresh and dried fruit, gels, bars, sandwiches with honey, jam or other ingredients that suit your taste. Do not rely too much on feed stations (if available on course): they might have run out of food stocks. And about water: at least one litre for every hour spent in the saddle. As soon as the countdown at the start gate begins, it’s quite easy to get an adrenaline rush, ride beyond your skills, make mistakes and frustrate all efforts made till then. Before the start, warm up with some good body exercise, plus a few start sprints to bring down the anxiety and get into the right state of mind. During the SS you need to ride at 90%, looking ahead and reading the terrain, staying as relaxed as possible and breathing well to stay focussed. This allows you to interpret the trail, pumping transitions and choosing the best lines, thus saving energy. You have to save your 100% effort for the sprint to the finish lines. 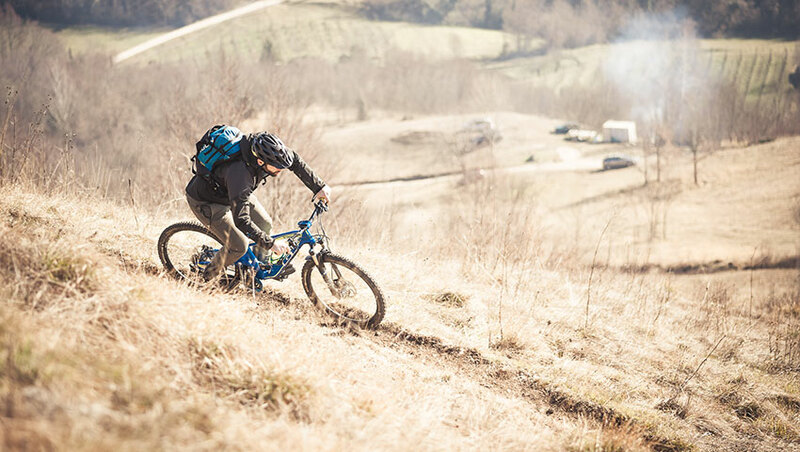 If you love spending long hours in the saddle, getting to know people, riding new trails and challenge yourselves, enduro races are something to experience. By following our tips you will find yourselves ready, come race day. But remember that the main ingredient is always one only: having fun.